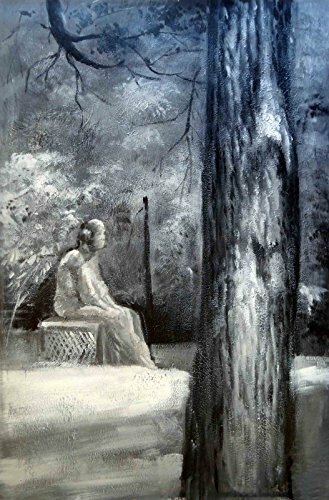 100% Hand Painted Oil Painting on Canvas Wall Art, Bachelor's Grove Cemetery Ghost Paranormal Haunted Chicago UFO Art Oil Painting by at UtopyaCon. Hurry! Limited time offer. Offer valid only while supplies last.